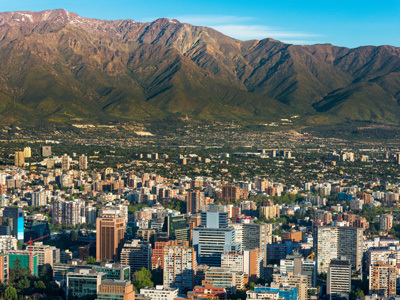 Immerse in the wonderful highlights of Chile on this 10 day luxury adventure! From Santiago, venture to the charming coastal town of Valparaiso before enjoying delicious wines in the Santa Cruz Wine Region. Finish your trip with an all inclusive, private experience in the Atacama Desert. This trip highlights Chile's top attractions combining luxury accommodations with unique experiences. 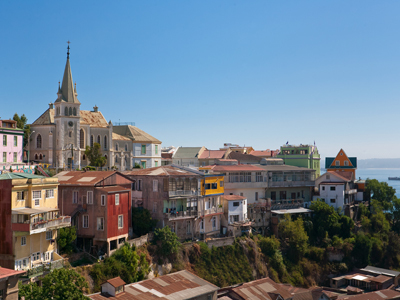 After breakfast, a transfer will take you to your hotel in Valparaiso. In the afternoon you will have a tour of this colorful, quirky port town with winding streets and timeless trolley buses. This afternoon, enjoy a tour of Valparaiso. Highlights include the 21 de Mayo square as well as incredible panoramic lookout points of the port and the bay. You will also head out on a very interesting walk, where you will discuss the city's multicultural history. The funiculars of Valparaiso are, of course, a must on this tour! You may also be interested in visiting La Sebastiana, Neruda’s home in Valparaiso, although the approximately 8 USD per person entrance ticket is not included. You will have the whole day to enjoy and discover Valparaiso at leisure. After breakfast, a private transfer will drive you to Lapostolle Residence located in the Colchagua Wine Valley. You will arrive in time to enjoy a wine-paired lunch and an afternoon activity. During your stay at Clos Apalta you'll enjoy a private tour and tasting at the Clos Alpata Winery (family's private cellar). The Clos Apalta’s wine cellar was built on the hillside, surrounded by trees and hundred-year-old vineyards, cultivated organically and biodynamically. Its six levels plunge 25 meters underground, specially built for the Clos Apalta production, their best wine and one of the most prestigious in the world, winning international awards. A tour lets you discover the alchemy of wine surrounded by impressive architecture, followed by a tasting of their production. You will also have the opportunity to explore other wineries in the Apalta Valley (1 winery per second night onwards), in addition to a visit to Museo Colcahagua. The Lapostolle Residence hotel is surrounded by splendid nature, and discovering it is an integral part of your getaway. Your choices are endless: go through the vineyards by bike or on horseback, hike in the mountains and in the pristine forest, stroll through the organic gardens where you yourself can gather the ingredients that will make up the dishes served to you that very day. After breakfast, a private transfer will drive you Santiago airport where you will catch your domestic flight to Calama. Upon arrival at Calama airport, a private transfer will be waiting for you to drive you to your hotel in San Pedro de Atacama. You will have three full days to discover the Atacama Desert with your private Awasi Atacama guide. After breakfast, a private transfer provided by Awasi will drive you to Calama airport where you will catch your domestic flight to Santiago. Upon arrival at Santiago airport, you will connect with your international flight back home. Located in the heart of Cerro Alegre and facing an impressive view of the bay of Valparaíso, Casa Higueras is the first boutique + design hotel to open in this port town. Following a careful restoration, this 1920s mansion has been converted into a charming hotel. Casa Higueras strives to bring together modern amenities with the warmth of the past, a nostalgic comfort that reflects the rhythm and character of Valparaíso. 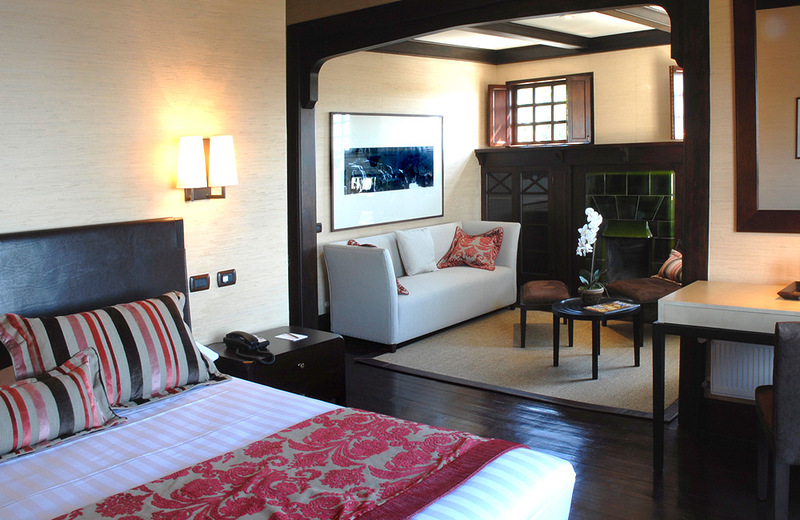 Casa Higueras houses 20 exclusive guestrooms designed with good taste and elegance. Seen from the Cordillera hills and from the Prat Pier, Casa Higueras looks much like a Mediterranean villa, with its terraces, stairs and sun shades. At the garden level, a spectacular pool with lounge chairs and a spa invite total relaxation. The majority of the guestrooms have individual terraces, with views of the Valparaiso bay and the Cordillera and Concepcion hills. Clos Apalta Residence is an exclusive winery & luxurious boutique lodge with just 4 individual casitas nestled into the forested hillside of the Colchagua valley, providing serenity & privacy in Chile's premier wine growing region. Clos Apalta Residence is located just outside of the city of Santa Cruz, 2-hours 30-minutes southwest of Santiago. It is owned by the Marnier-Lapostolle family, producers of the famous Grand-Marnier liqueur, and is managed by Alexandra Marnier-Lapostolle. The winery is a marvel of technical ingenuity as well as aesthetic excellence. Casa Lapostolle was established in 1994 and is already one of Chile’s leading wine producers. In fact, its Clos Apalta 2005 wine was the Wine Spectator's top pick in 2008. Clos Apalta Residence offers four luxurious bungalows, which have been named after the different wines produced. Each casita has its very own terrace offering extraordinary views over the vineyards and the surrounding mountains. The lodge also a swimming pool, wide terrace with comfortable chaise lounges and offers therapeutic and relaxing massages. San Pedro de Atacama has been a beloved destination for thousands of years. It's a place to stop and refresh your mind, body and spirit, before continuing on their journey through the Atacama. Awasi, meaning "at home" in the local Kunza language, was created to continue the noble task of sheltering travelers and enriching their connection with the culture and landscape of the Atacama Desert. The Awasi Atacama reflects the traditional style of the Atacama people, featuring round adobe walls, stones and thatched roofs, but interspersed with touches of modern luxury. Indoor and outdoor showers, spacious solariums and oversize comfy armchairs draped with soft, handwoven alpaca blankets are a staple in each of the 10 suites. During your stay, you will also be provided with your very own 4×4 jeep and expert local guide. Private excursions can be done by jeep, on foot, by bike or on horseback, without restrictions.